Macquarie University academics have found that exposure to images of extremely muscly physiques could be leading to distorted body perceptions amongst young males. 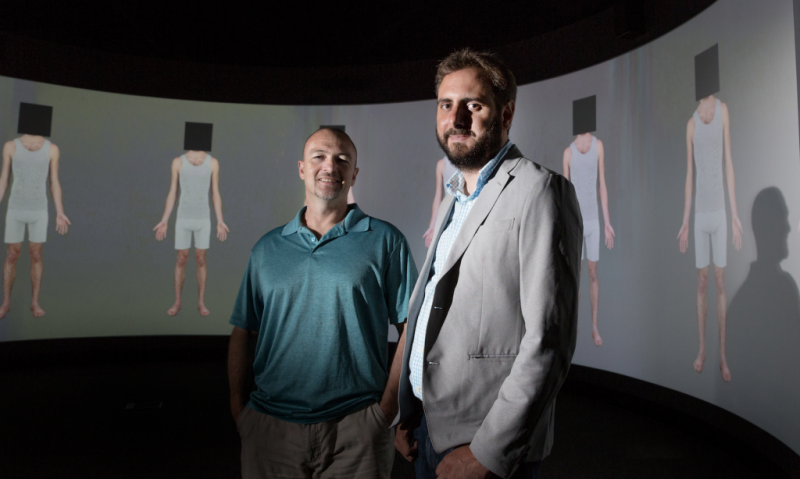 In a study recently published in Scientific Reports, Associate Professor Kevin Brooks and his team from Macquarie University's Department of Psychology studied people's responses to images of various body types. While confirming previous findings that exposure to an image of someone with low body fat causes average bodies to seem fatter, the study also found similar 'muscle aftereffects' for bodies high or low in muscularity. "What people considered a 'normal' body changed significantly as they were exposed to images with different characteristics," said Dr. Ian Stephen, Senior Lecturer at Macquarie University's Department of Psychology. "Participants exposed to low fat bodies saw their idea of a normal body become thinner. Also, seeing muscular figures led to bodies previously considered normal to be perceived as rather puny, and vice versa." Body image distortion is often blamed on exposure to idealized images in the media, but scientists have not previously considered what happens in the brain when people see these images. The researchers noticed that the media exposure explanation has similarities to a well-known phenomenon called visual adaptation – and used this phenomenon as a basis for their study. When people look at an extreme stimulus, like a bright red circle, the neurons that encode redness are strongly activated. As exposure continues, these neurons 'adapt', reducing their propensity to fire. Usually, a neutral colour like white would be represented by a balance of activity in cells responding to complimentary colours, such as red and green. But after prolonged exposure to red, when we then look at a white wall, for example, the neurons encoding the opposite colour – green in this example – show more activity than the adapted red neurons. As result of the imbalance in responses of red and green neurons, an illusory green circle appears on the wall. "We wanted to test whether visual adaptation can explain why people who look at thin or muscular images start to see thinness or muscularity as normal," said Dan Sturman, the student who ran the study. "Our results supported the visual adaptation explanation – looking at muscular or thin bodies produced illusions that neutral bodies were puny or fat. These fat and muscle effects could be produced separately, suggesting that the brain is not just processing bodies as large or small, but rather that we have separate groups of neurons in the brain to represent fatness and muscularity." Research on body image distortion has traditionally focussed on eating disorders involving preoccupation with thinness, such as anorexia nervosa – a condition which disproportionately affects young women. However, many developed nations including Australia have seen recent increases in the number of young people – particularly men – who feel inadequate about their muscularity. This study indicates that people who spend a lot of time reading bodybuilding magazines or websites, watching professional sports or spending time with athletes at the gym may experience muscle dysmorphia as a visual aftereffect. "This kind of body image distortion is worrying as it can lead not just to mental health issues but also physical health complications associated with extreme dieting and/or exercise behaviour and, in some cases, steroid use," added Associate Professor Brooks. "We know that the idealized images presented by the media can have a negative impact – the next step is to form a better understanding of the neural processes that underlie this body image distortion, so we can target our strategies to reduce their effects, and to develop therapies for sufferers."